Canberra Pet Rescue was founded in 2016 to help rescue animals from death-row at pounds. This page is where we look to celebrate the lives we’ve saved and the cats who can now be loved and cared for by their amazing new owners. Bella is a sweet cat who loves cuddles. From the moment she arrived she hasn’t stopped purring and we estimate her age to be less than a year old. With her squeak of a meow and cuddly nature anyone would be lucky to adopt Bella. Finn has heterochromatic eyes (two different colours) which set him apart from the others. 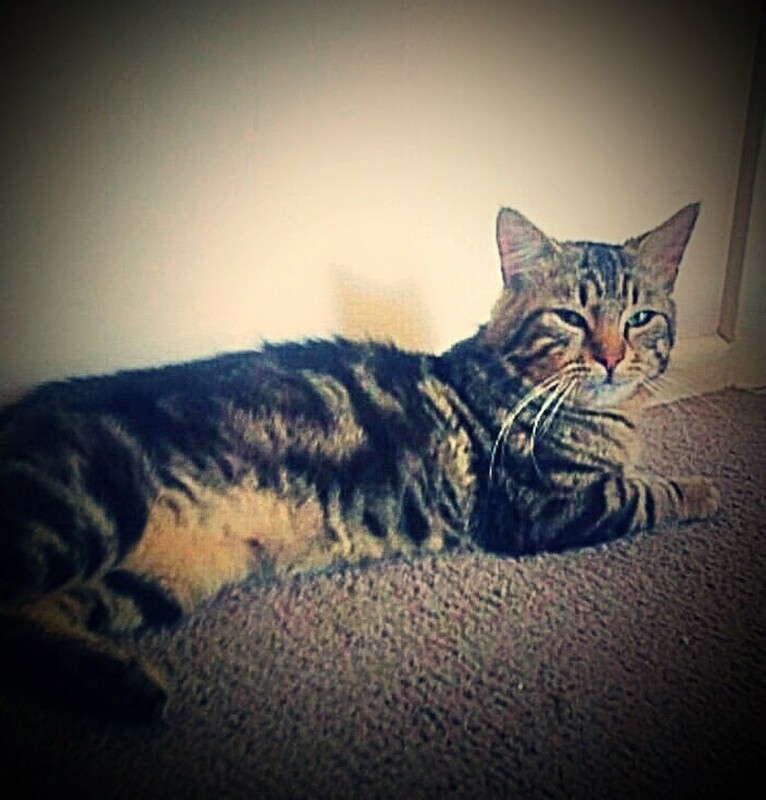 He is a gorgeous cat who gets along well with other cats and humans with a very observant nature. Finn loves his pats and cuddles and will make an excellent pet. Stripes (previously known as Popcorn) and Candy are Floss’ two kittens. They are very boisterous little kittens who love to play and cuddle in equal parts. Sienna is very independent and loves to lay in front of a warm sunny window. She enjoys snuggles and is a very relaxed young lady. Aztec is an adventurous and outgoing boy, a wonderful eater who loves cuddles and lots of playtime. Fleur is petite, cuddly and very inquisitive. Fostered around two small dogs and children. Link is a little adventurer true to her name from the Zelda series. She is super cuddly and loves to hang out with her furry and human friends. Link loves playing with her siblings and looks very cute doing so. Azure is part of a litter of five kittens who were dumped at approximately three months of age. They were all placed with a foster carer where they slowly came out of their shells and became the beautiful loving cats they now are. Azure is a petite outgoing little lady. She is very energetic and loves her playtime. Azure loves to snuggle and cuddle up to people and cats alike. Ruby is part of a litter of five kittens who were dumped at approximately three months of age. They were all placed with a foster carer where they slowly came out of their shells and became the beautiful loving cats they now are. Ruby is very quite, gentle and affectionate. She loves to play with her humans and cats alike as well as soaking up the attention provided to her. Louie was saved from the pound with his sister Stella at 10 weeks old. He is an adorable, chubby grey and white kitten who loves cuddles (after some initial hesitation). He loves to play and is energetic in short bursts between naps. Louie is progressively getting used to normal house noises without running away, he will need a patient owner who loves him despite his fearfulness and will keep building his confidence. Louie and Stella love each other and spend the whole day playing and cuddling, it was great to see them adopted together. 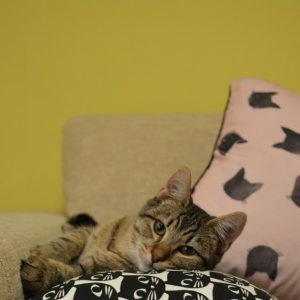 Louie is a specially wonderful kitten who we were sad to see go – but happy for him to have found a loving forever home. Stella was saved from the pound with her brother Louie at 10 weeks old. She is a pretty grey kitten with a white tummy. Stella is still overcoming her shyness however she loves pats and once settled will sit on your lap and purr loudly. She loves to play and is energetic. 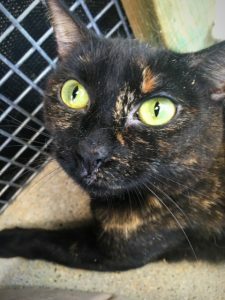 Stella is progressively getting used to normal house noises without running away, she will need a patient owner who loves her despite her fearfulness and will keep building her confidence. Stella and Louie love each other and spend the whole day playing and cuddling, it was great to see them adopted together. It would be great if they were adopted together but we think they would be fine apart as well. 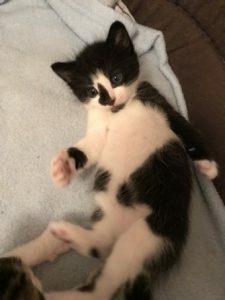 Leo had a very rough start to life, but has recovered quickly and is well adjusted to being the smaller of the litter by being cute and bossy. 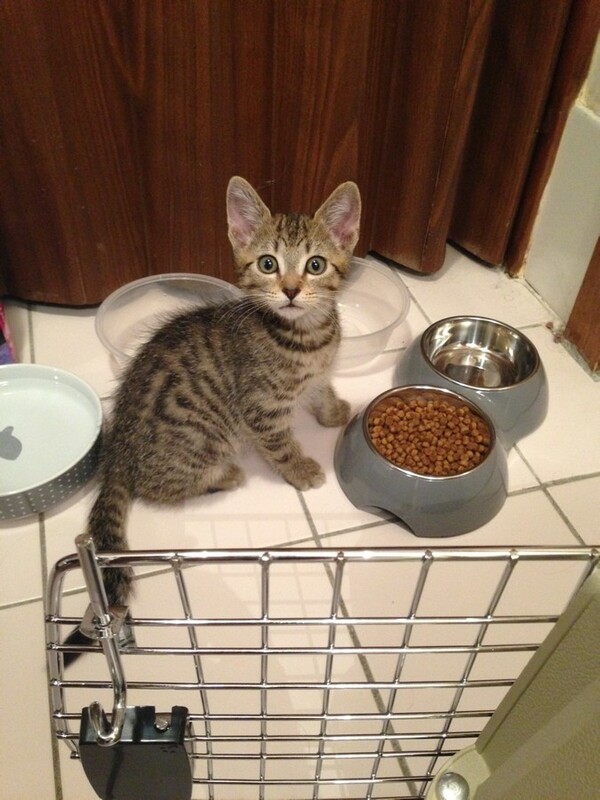 He is a very sweet little boy who loves cuddles with his foster parents and snuggles with his siblings. Although the world may seem huge to him now he isn’t afraid to explore with his siblings and rough and tumble around with them. 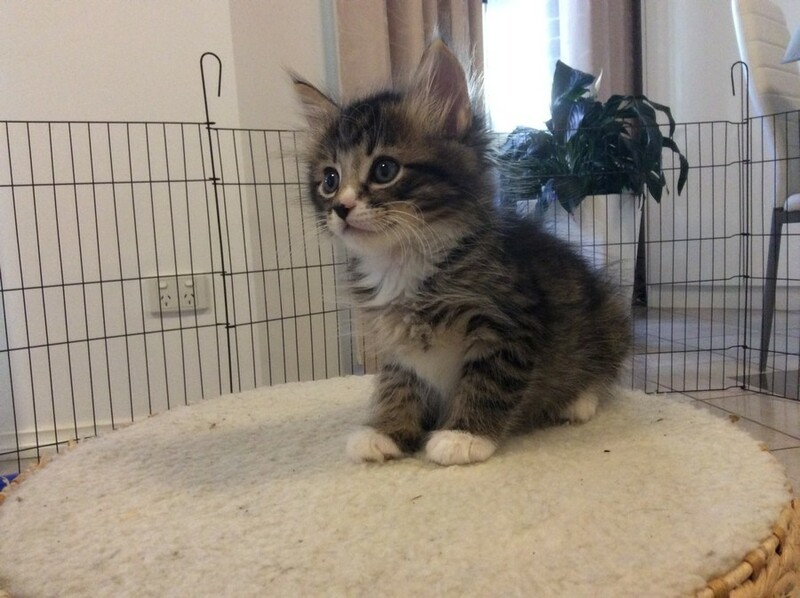 He is the first to let off a little meow-squeal when they are too rough (even though he provokes the play) and likes to be precious and cuddled lots. He is very playful and loves his toys. Leo is a sweet little thing who deserves the best home. Monkey is named as such due to his cute ability to climb up things and be brave enough to adventure everywhere. He is the brave one out of his litter, the first one to walk into new places and snuggle up to the adult cats. 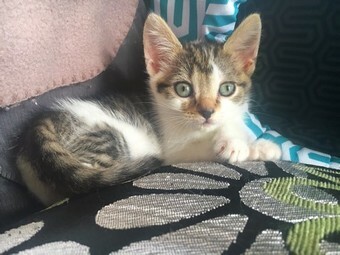 He is quick to learn new things such as the enclosed kitty litter tray or where the adult food is kept and loves cuddles with his foster mum especially at night. He isn’t afraid to let you know if it’s his food time and loves to tumble around with his siblings and the adult cats. Tom is playful and likes to be a part of the family. He is gentle, inquisitive and loves company. 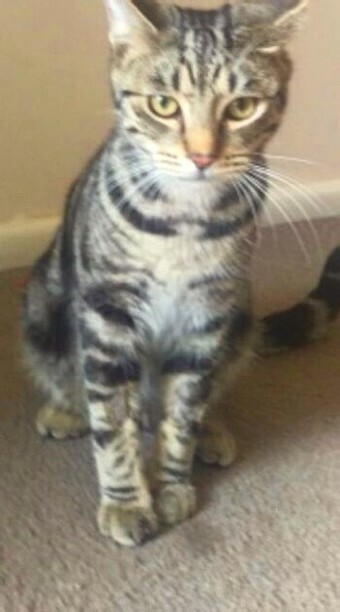 Tom has been microchipped, vaccinated, desexed, wormed, flea treated and has been vet checked. Tom found someone to love him and make him their forever cat. Beau is a lovely cat who loves cuddles. He was fostered in the PetStock Fyshwick store with Tom. Beau is microchipped, vaccinated, and sterilized. Olive is part of a litter of five kittens who were dumped at approximately three months of age. They were all placed with a foster carer where they slowly came out of their shells and became the beautiful loving cats they now are. Olive can be a little reserved but once she settles in she will make a warm cuddly friend to her forever-home. This cuddly cat is very petite but loves to play. Olive is microchipped, vaccinated, and sterilized. She loves her forever home. Midnight has had a tough start to life. His former owner passed away and no one knew they had a cat, so little Midnight was left alone until builders turned up to demolish the house he lived in and discovered him. He was skin and bones when found but has been gradually nursed back to health. He is currently in a foster home where he is melting hearts left right and centre. 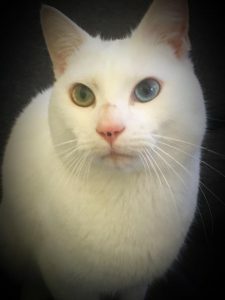 He is very friendly and affectionate, loves human company, cuddles and belly rubs, is okay to be on his own while the owner is at work and is relaxed. 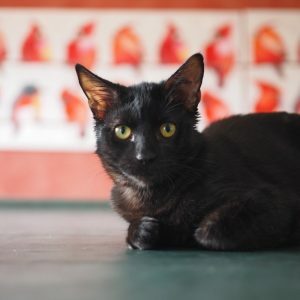 Midnight is looking for his forever home where he has a second chance to live a happy life. Midnight is microchipped, vaccinated, and soon to be sterilized. Neko (previously known as Floyd) is a gorgeous little boy and he knows it. As soon as there’s a camera around he likes to roll around looking cute and winning attention. He loves playing with his siblings and adventuring around the place. Neko is now happily lapping up all his attention from his new family. 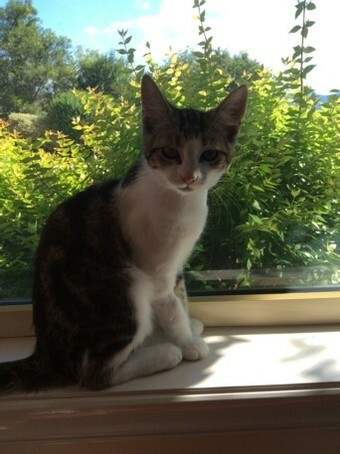 Treacle is a playful, affectionate and gentle kitten. He was always first over and sitting on his carers feet when she came into the room. He is also playful and independent. 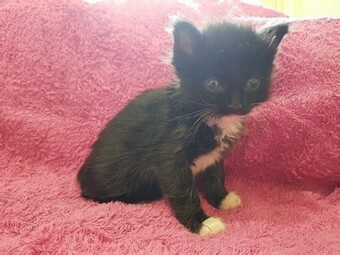 This little kitten was born in foster care from Violet as part of a litter of five. Treacle has now settled into his new home and is adoring his attention and new family. Zeus is a playful kitten who was one of the biggest in his litter. 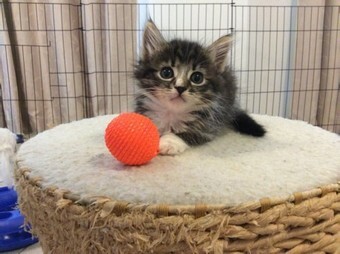 This little kitten was born in foster care from Violet as part of a litter of five. Zeus loves his new home and family. Now that Zeus is in his new home he ensures he gets all the cuddles he wants. Luna is outgoing, cheeky and loves to snuggle. When a spark of energy hits she turns into a playful young kitten. Luna has been fostered with two small dogs and loves her barking friends. Luna loves her new home and has settled in with her new family. 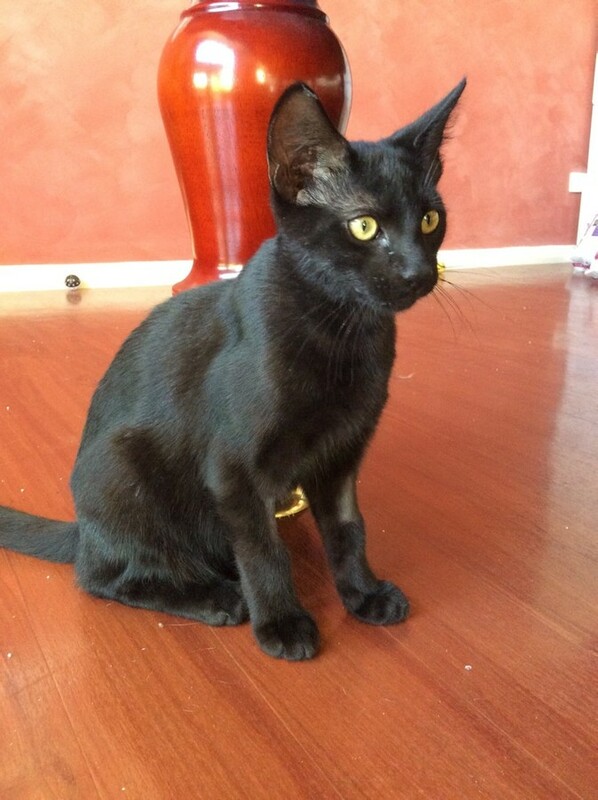 Papadum (previously Amos) is an adorable little kitten who loves cuddles and has a cheeky disposition. He has a unique nature and is very intelligent. Papadum has been fostered with two small dogs and loves his barking friends. Charlie can be a little bit shy but once he gets to know you he’ll ensure that you give him all the cuddles in the world. When Charlie is in a particularly cuddly mood he’ll sit next to you and silently meow at you until he gets attention. Charlie has been fostered with two small dogs and loves his barking friends. 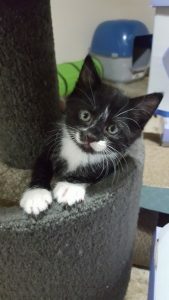 Sylvester is a very friendly and adventurous little man. He is quick to work out who is boss and becomes best friends with them. Hanging out with the big kids (adult cats) doesn’t scare him and he loves to tumble around with his siblings. 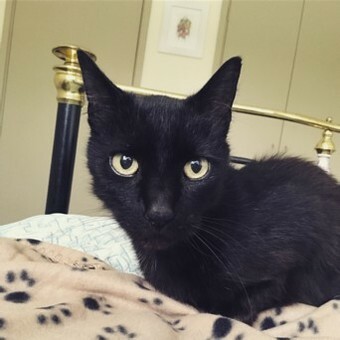 Cuddling up at night time to his humans is a favourite past time for this sweet and affectionate little man. 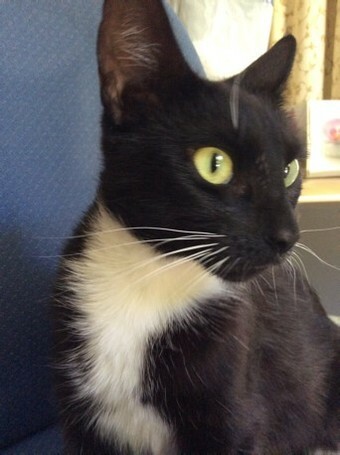 He gets along well with other cats and is eagerly awaiting his forever home. 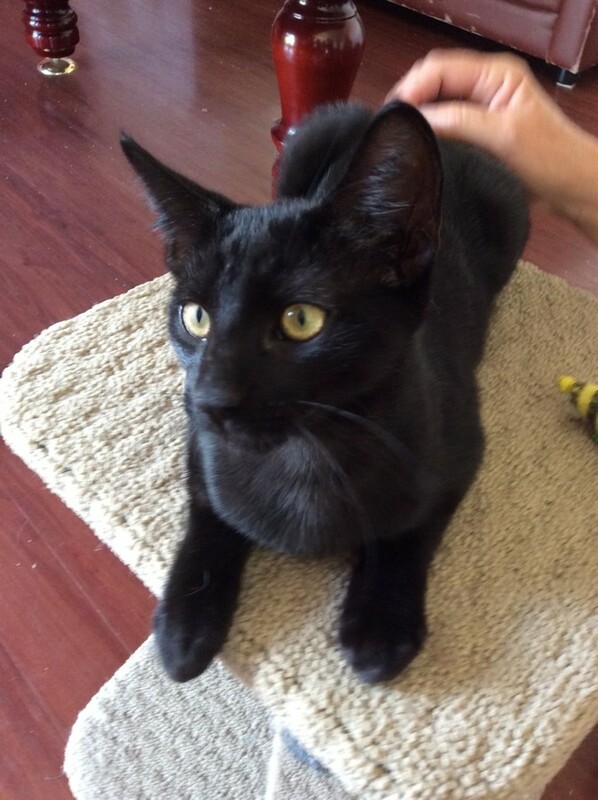 Merlin is a beautiful gentle and playful kitten. 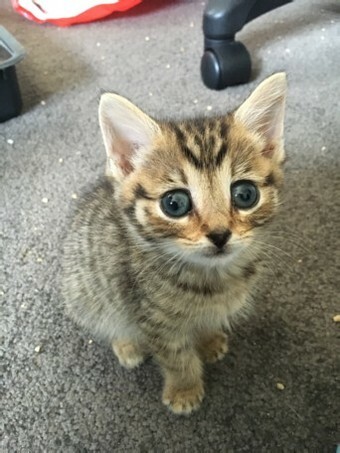 With his big eyes he’ll make hearts melt left, right, and centre. This little kitten was born in foster care from Violet as part of a litter of five. Floss is an independent young lady who craves attention. Floss would be best suited to a family with older children or an older couple who are prepared to give the attention Floss so badly needs. Floss was dumped at the pound with two babies who have since been rehomed and is unsettled at the moment but would make a lovely addition. Winston (previously known as Cuddles) adores attention and being pampered. He is the smallest in the litter due to a delayed start but is flourishing now. Cuddles has been fostered with two small dogs and loves his barking friends. Little Leo is ridiculously cute! 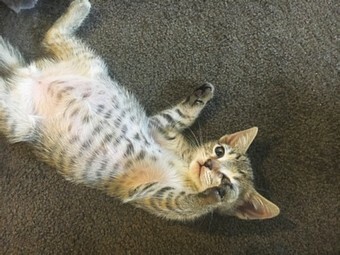 He lays around on his back showing his super cute leopard spotted belly. 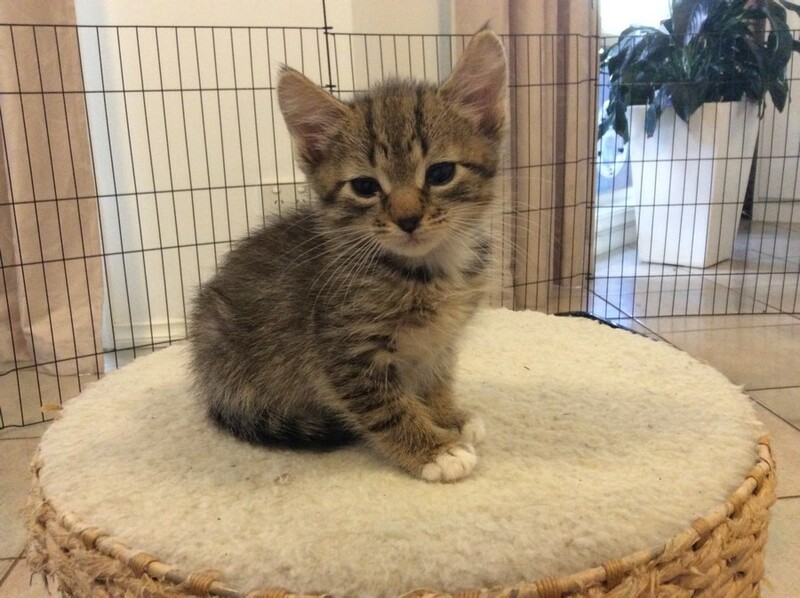 This little kitten was born in foster care from Violet as part of a litter of five. Maruti was the smallest in his litter and is now the biggest in his litter and full of energy and love. A very affectionate little girl who loves to snuggle with her people after a meal. Violet is an incredible rescue cat. She is one of the easiest to care for and most peaceful cats we have seen. Violet is an affectionate yet independent cat who has been an amazing mother to her two litters. Violet has now settled into her new home wonderfully. Frankie is a lovely cat who found a loving home. Frankie and Tabitha have lived most of their lives together and so were adopted together. He’s a wonderful cat who loves his playmate and humans and adores attention. Tabitha is a wonderful cat who found a loving home. Frankie and Tabitha have lived most of their lives together and so were adopted together. She loves her attention and will happily sit and allow her humans to cuddle her for as long as she can. Timmy likes to do his own thing but loves a good pat and enjoys exploring. A confident little guy with stunning colours. 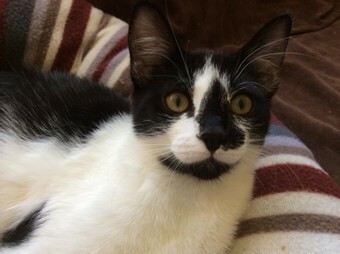 Ali is a gentle and affectionate kitten who was adopted with his brother Charlie. He loves to play and soak up all the attention you can give. He can be a little shy at first but will warm up to you with a bit of love. A very confident, playful and affectionate little boy who loves a cuddle and a run around. Charlie has had a traumatic life until and due to his past was a little frightened at first but when he gets to know people he loves a cuddle. He has been with his sibling (Ali) since birth and was re-homed with him. Pauli is a play-machine! He is the most confident of the litter, and would wrestle with his siblings all day if they could keep up. Pauli is a talkative little man and won’t hesitate to let you know if he’s hungry or ready for more playtime. 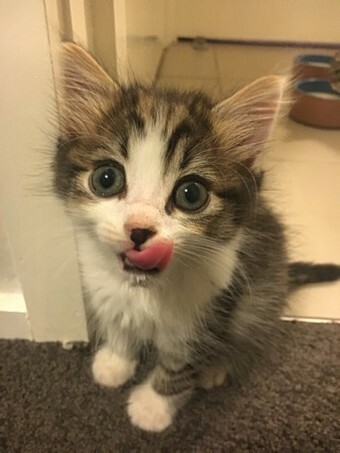 He’s a cheeky little kitty who loves 24/7 kitty play time! 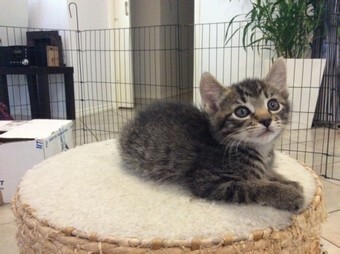 Blinky was rescued from the Queanbeyan pound along with his mum and 5 brothers and sisters. Blinky got his name as his left eye was closed when we rescued him. He has made great progress and his eye has now fully recovered. Blinky is a super sweet kitten who loves cuddles. He purrs easily and will roll onto his back for some good belly rubs. 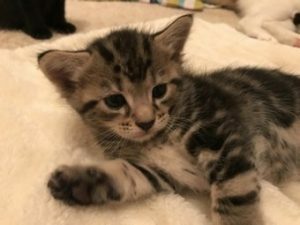 While he is very cuddly, he also has a playful streak and will play well with toys and his brothers and sisters. He loves to climb his scratching post and jump on the bed if he is allowed. 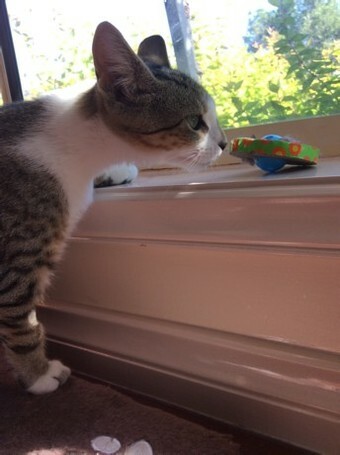 Blinky is independent and is often away from his siblings but he also loves to play. Blinky’s coat is very soft and it looks as though he will be quite fluffy when he is older. Haffi was rescued from the Queanbeyan pound along with his siblings and mum. Haffi was the runt of the litter and while he is still smaller than the rest of his siblings, he is still able to give them a run for their money. Haffi is very playful is usually playing with his siblings. He also plays well with toys. Haffi loves to climb up his scratching post and likes to run around. Tabitha is a confident cat. She loved the foster carer’s resident dog and will happily curl up on your lap and with the other pets. She has happily settled in to her new home. Emmeline was fostered through ACT Animal Rescue. She is a playful kitty who was in care for a very long time. At 7 months old, Delilah has had a tough start to life. 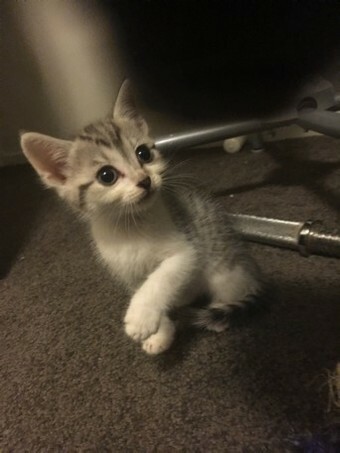 She is a very shy kitten around humans, but opening up to cuddles and back scratches each day. She would best suit a quiet home with no kids. Once on your lap, she will keep you there for hours while she purrs! Harley (originally named fatty) LOVES his food. As the name suggests he likes to cuddle and purr at you. But he will let you know when he’s hungry. He’s very inquisitive and learns off his siblings to climb everything. Lilac is a shy little girl. She likes to do things in her own time and on her terms. Once she knows you she will love you always. She’s a good explorer and very curious. Sammy (AKA Monkey) is a very energetic little man! He can be a bit shy when you first meet him, but will open up quickly (especially when wet food is involved)! He loves purring, a good head scratch and playing with his cat toys. He gets along very well with other cats. 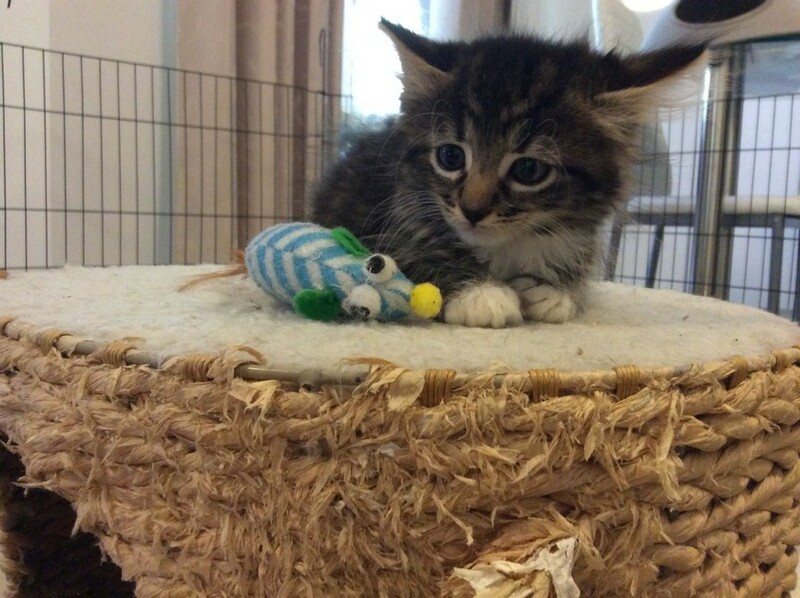 Schnozzy is a very boisterous kitten who loves to play with both toys and her siblings. Schnozzy loves to climb and will climb up your leg if you’re not careful. 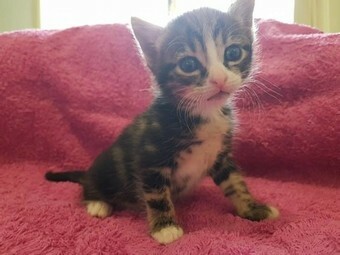 She is a very fun and lively kitten and is usually found with her siblings. Schnozzy loves attention and likes to be cuddled when she is in the mood. Pixie is a lovely little girl with a very snuggly friendly nature. She has been exposed to both cats and dogs, and after initial introductions gets on with both. This little lady is used to heaps of attention and loves a cuddle.